ok cool, I'll definitely be there tonight. Yeah I cant get it to work, but Im good for tomorrow if your still up for it. Im having problems with my other xbox, it comes on, but the game doesnt read. Im still trying so I might still be able to get in if I can get it to work. Hey man, would it be me and you tonight for halo or do you have someone else. Im still up for it either way as long as you still want to. Haha look at the first thing in the sig! You went EXACTLY where I wanted to go with the story thread. That achievement unlocked thing is awesome. You still want that Crackdown 2 armor code? 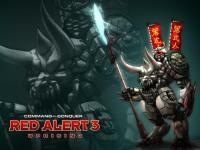 Also, do you have Red Alert 3? I've been looking for someone to play with if you're game? That's great to hear man. I'm glad you took the time to sit down and watch it fully. Ahh I see, well did you like Shaun of the Dead of Zombieland if you seen either of them? Hey mang I saw in the movie thread you didn't like Dead Snow. I haven't seen it but it looked good from what I saw of it. So basically, why didn't you like it?